Or as low as $91.58 per month over 12 months. Apply Now. 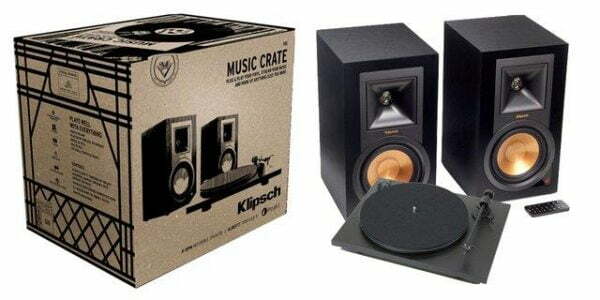 The Klipsch Music Crate System is a truly plug-and-play vinyl listening solution. 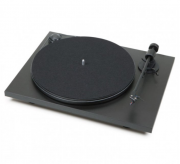 It combines the award-winning sonic sound signature of the Reference R-15PM powered monitor speakers and a state-of-the-art Pro-Ject Audio Klireftt turntable. The Music Crate™ provides a powerful acoustic experience to listeners looking for a simplified vinyl experience, with no external amplifiers required. Simple to set up in minutes, the kit easily combines with a television, computer or any wireless device, all accessed by a remote to control source selection, track controls and play/pause options. The Music Crate™ is a complete quality listening system, straight out of the box. The R-15PM powered monitors deliver room-filling sound without taking up much space. These highly efficient, powerful speakers engulf listeners in their favorite movies and music. Integrated phono pre-amp and Bluetooth® wireless technology. The R-15PM monitors incorporate individual ultra-low noise amplifiers custom designed to maximize system performance and eliminate the need for external amplification. 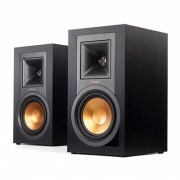 Seamlessly add a subwoofer to enhance low frequencies even further.